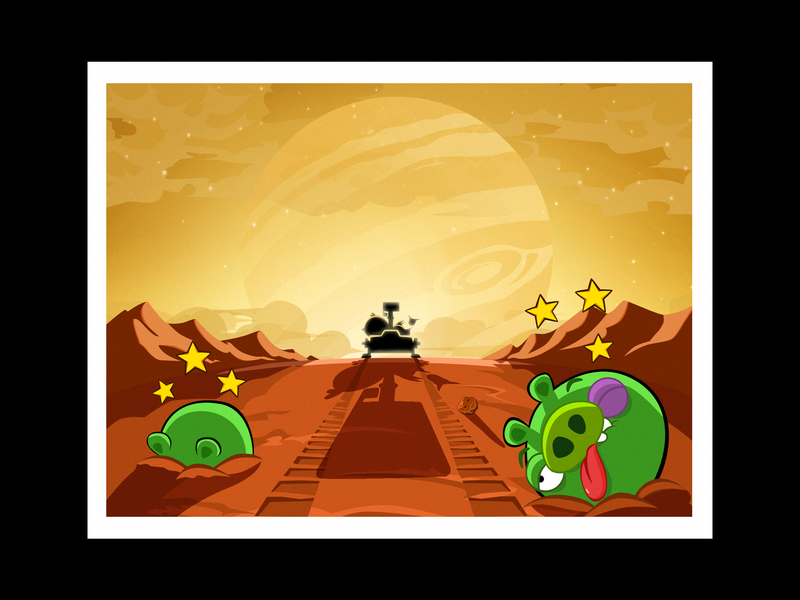 The recent update to Angry Birds Space adds yet another angle to the Angry Birds matrix. 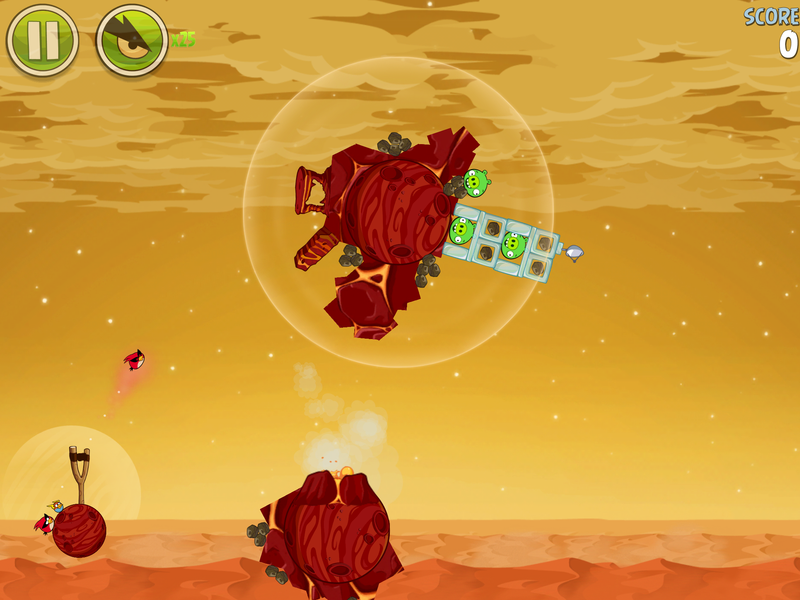 The theme adds fiery volcanoes that push you away from the planet’s surface. 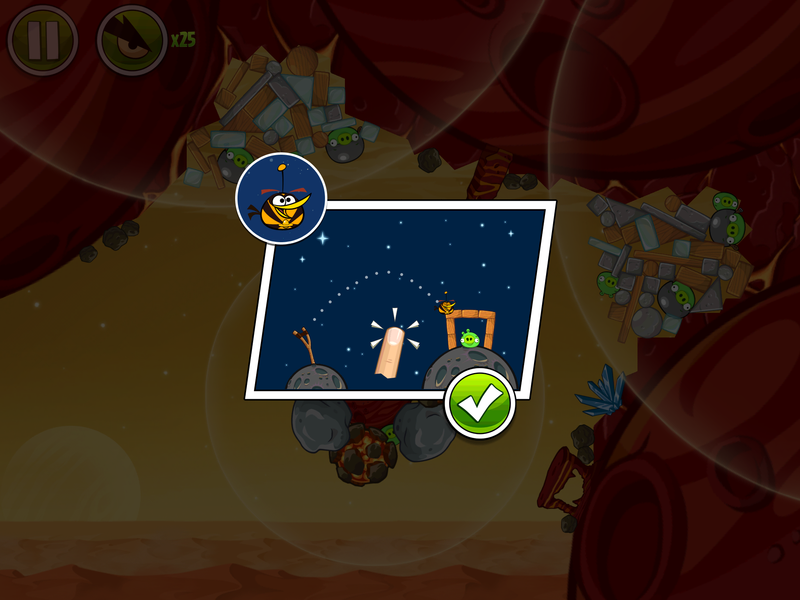 The developers went to great detail as usual. 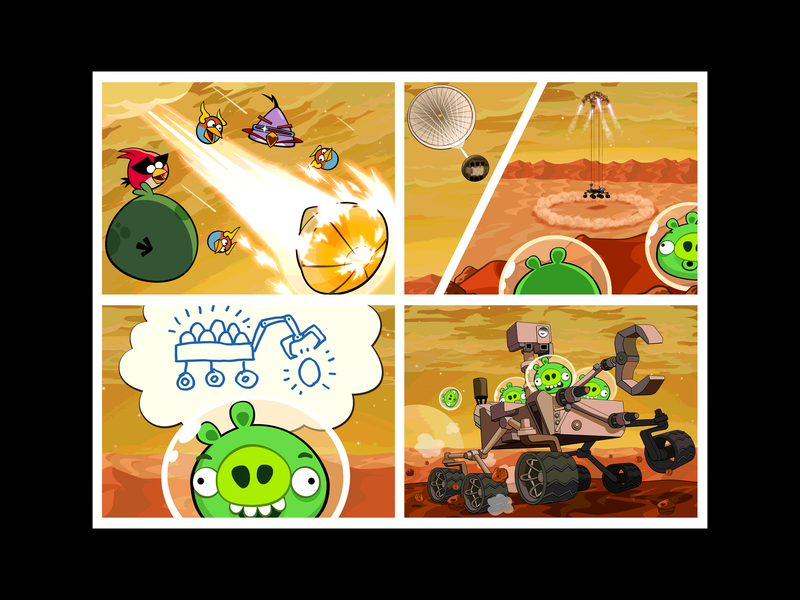 For example, when I hit a pig out of the atmosphere and he froze, when he floated past the hot pressure from a volcano he thawed out. 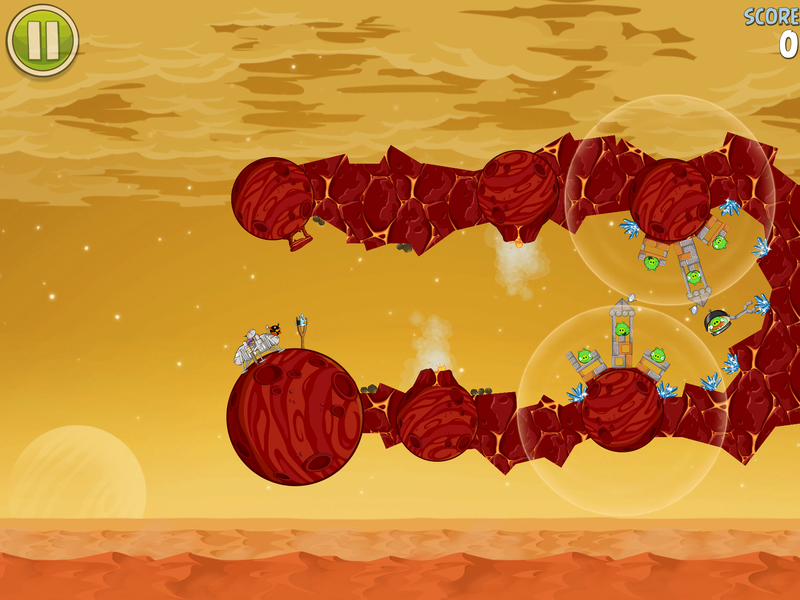 There were only about 2-3 levels that really took me a while to pass. 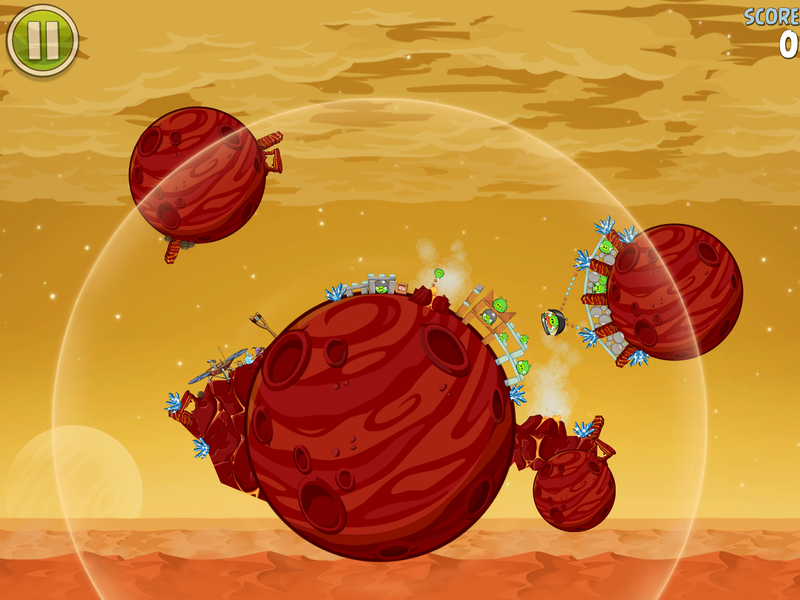 Most others I beat within 1-3 tries. 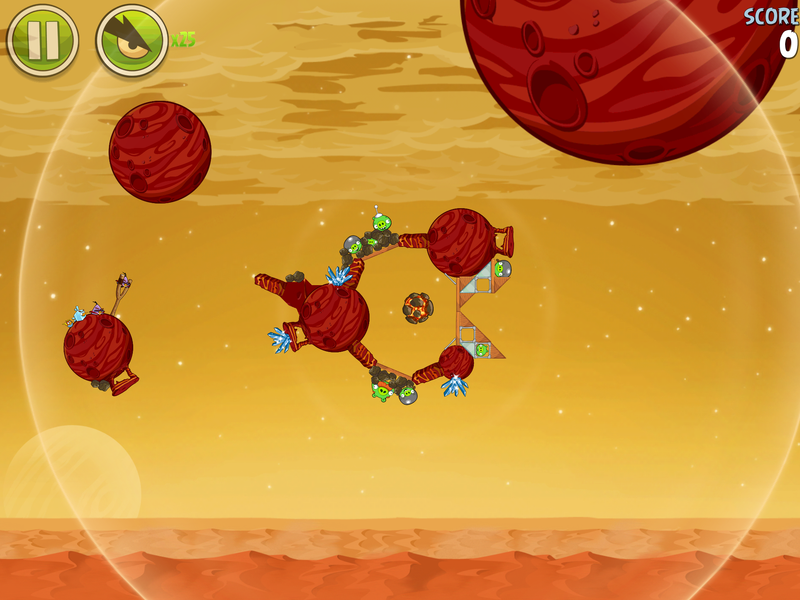 Along with new levels comes a new bird! 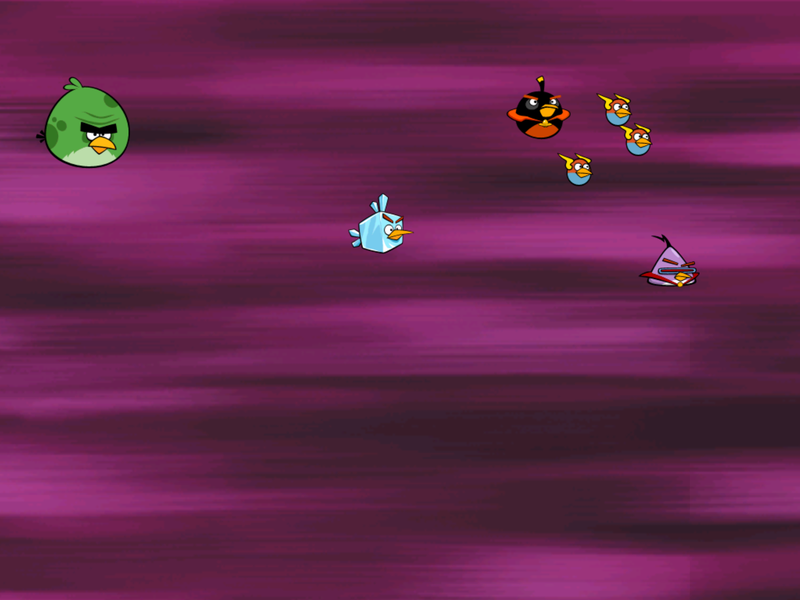 This yellowish-orange bird expands like a ballon when tapped. 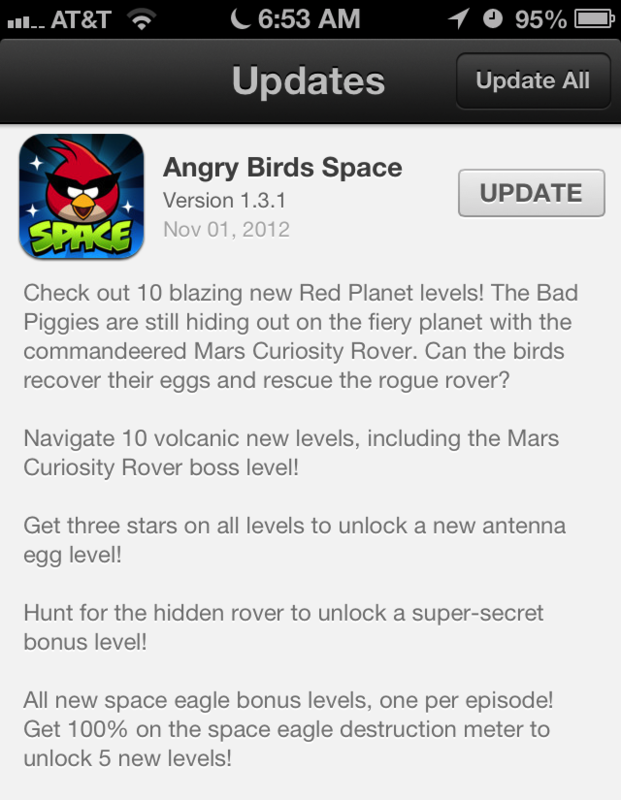 I’m guessing it’s similar to the ballons used to pad the rover as it landed and bounced on the surface of Mars. 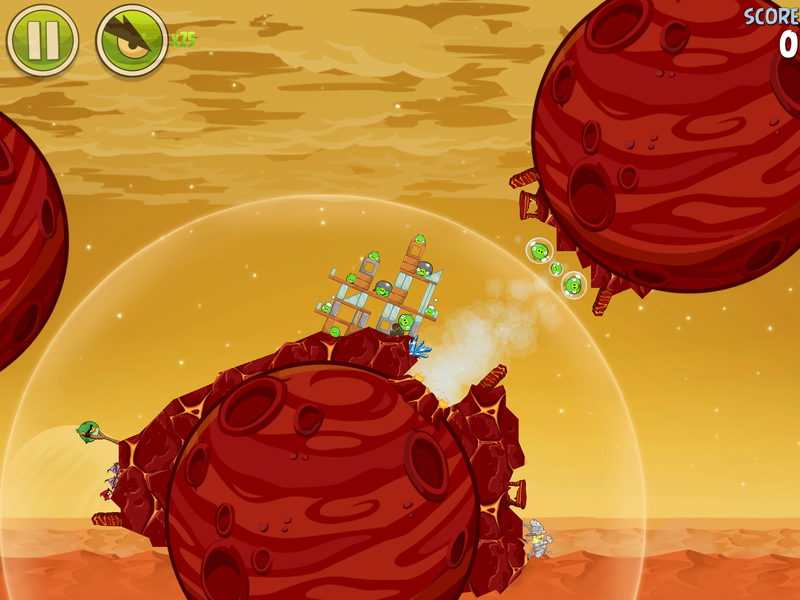 There are a few levels that have small space craft, that if you hit, will warp you to a different level. 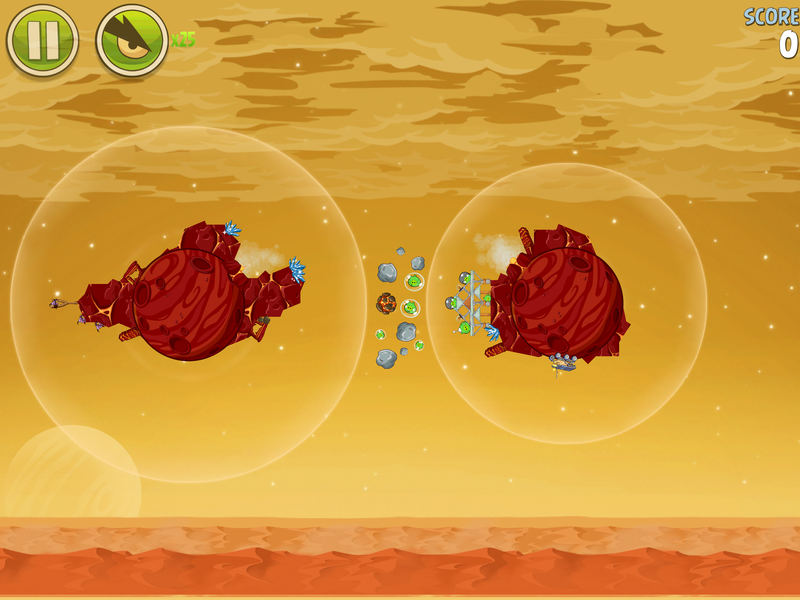 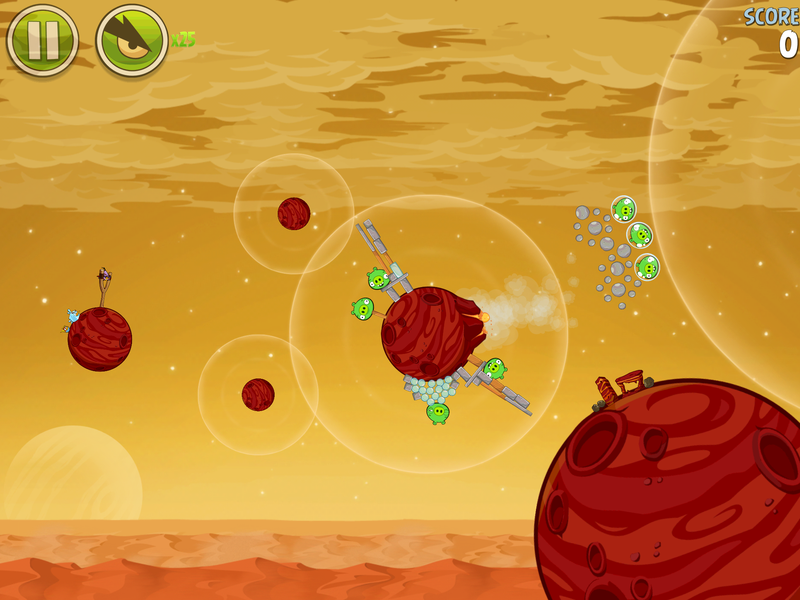 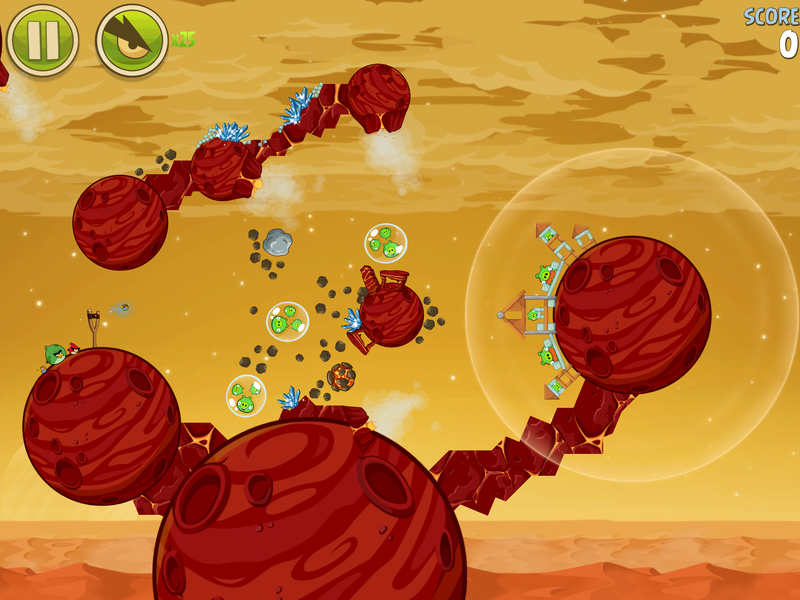 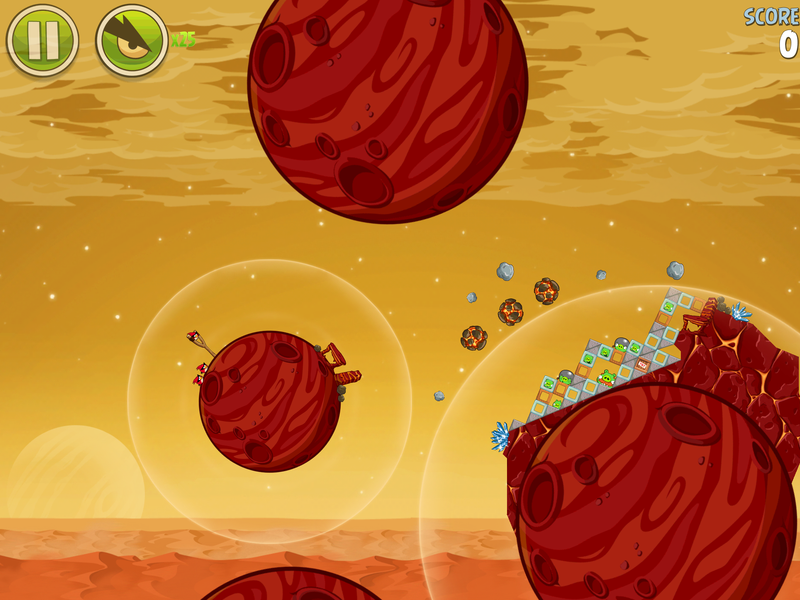 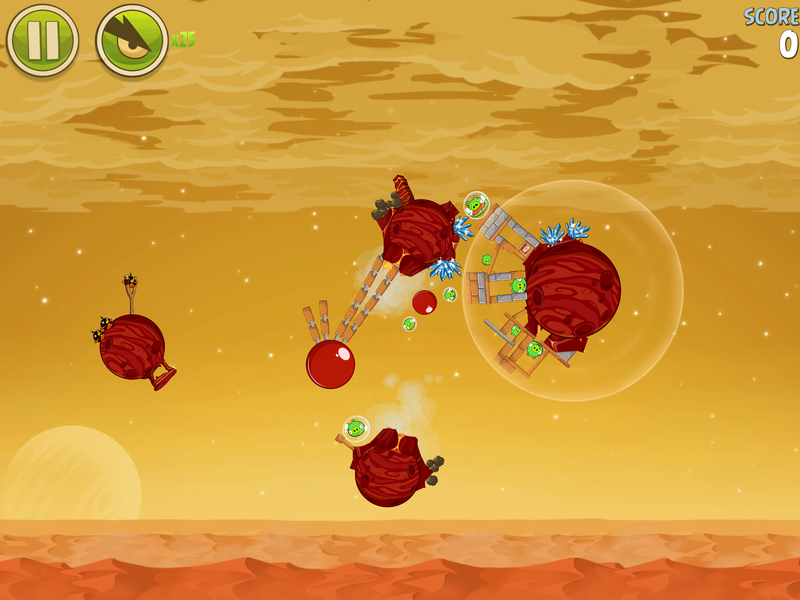 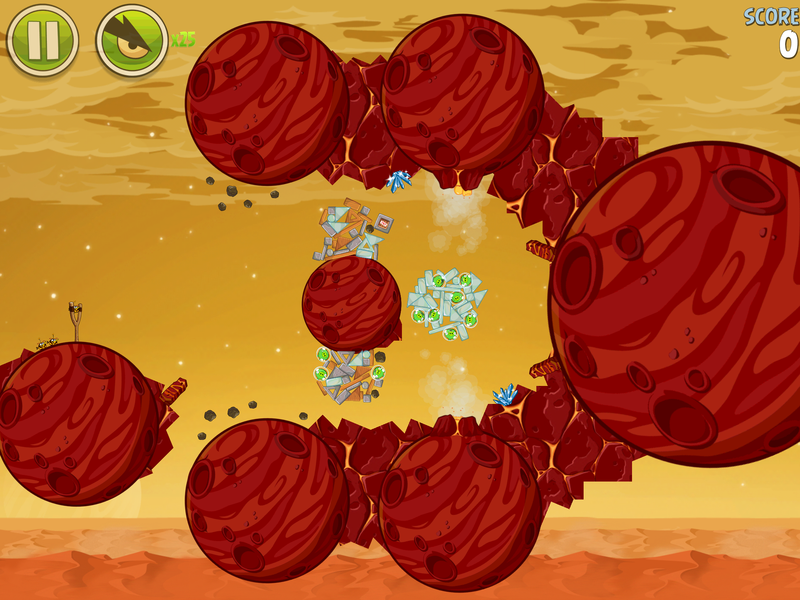 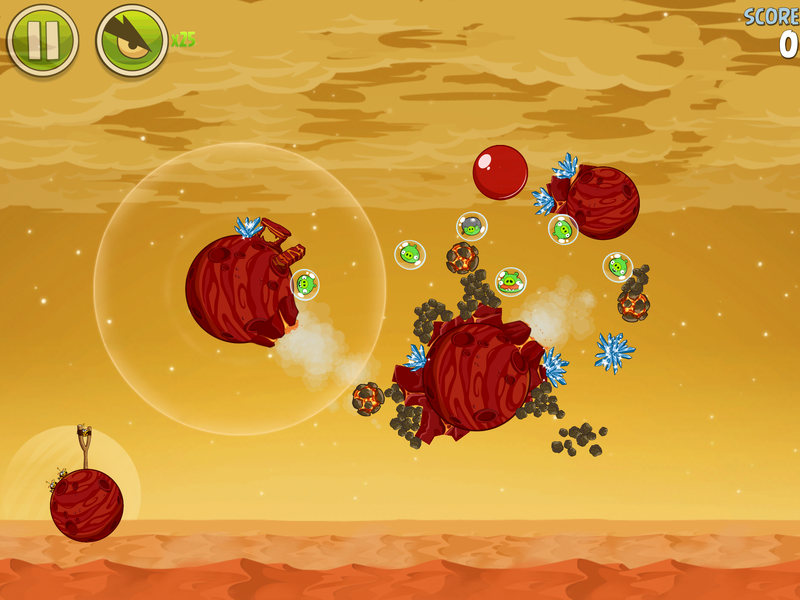 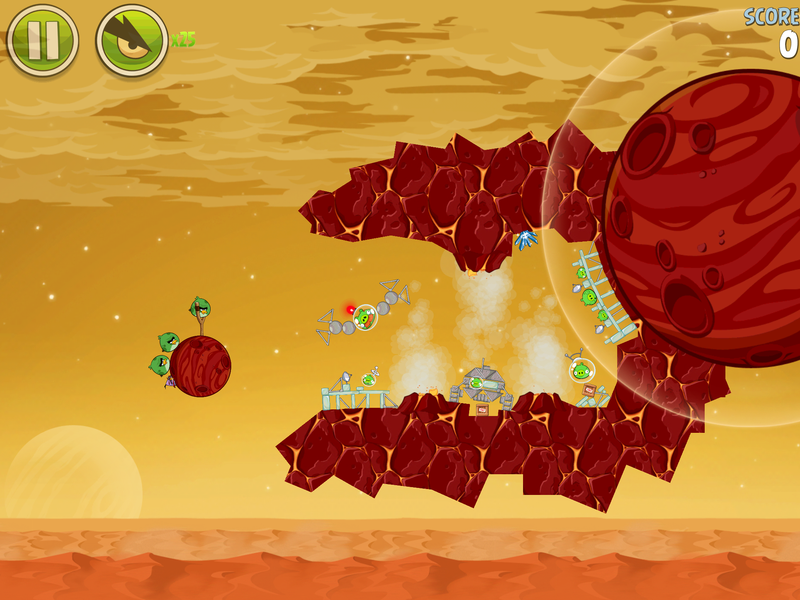 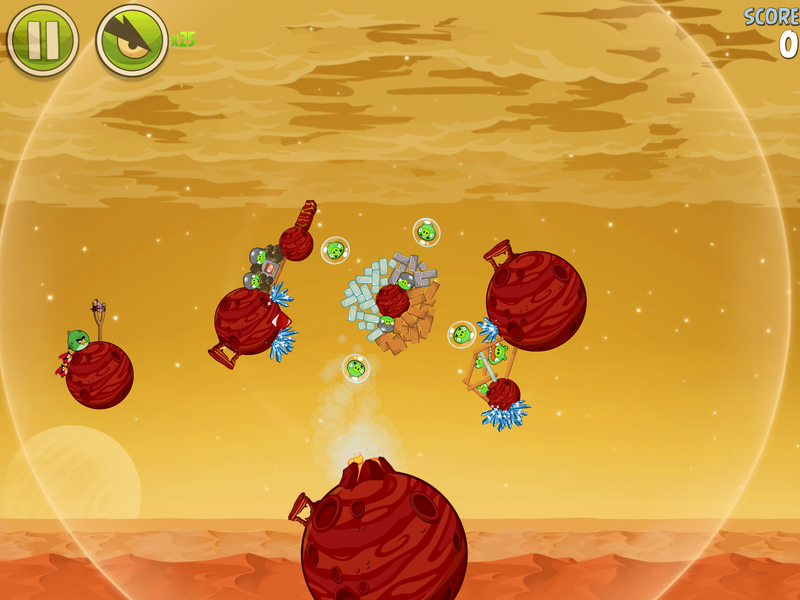 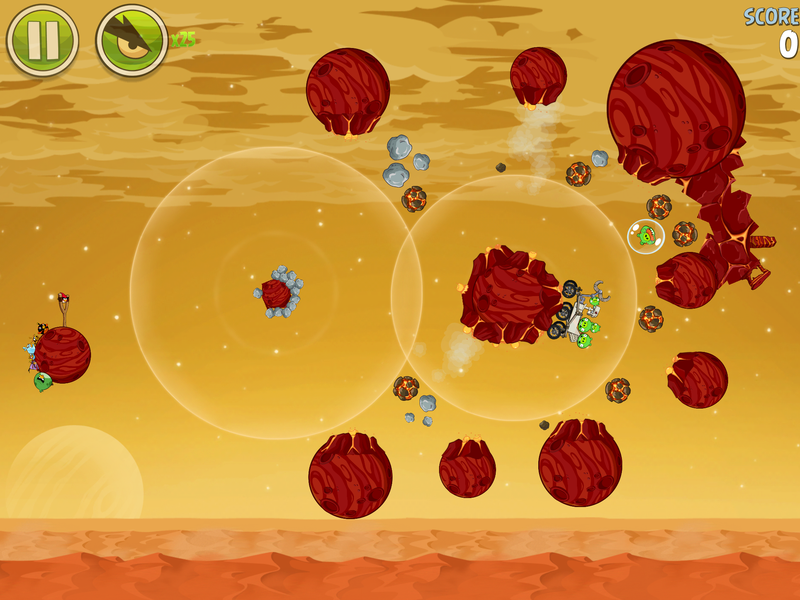 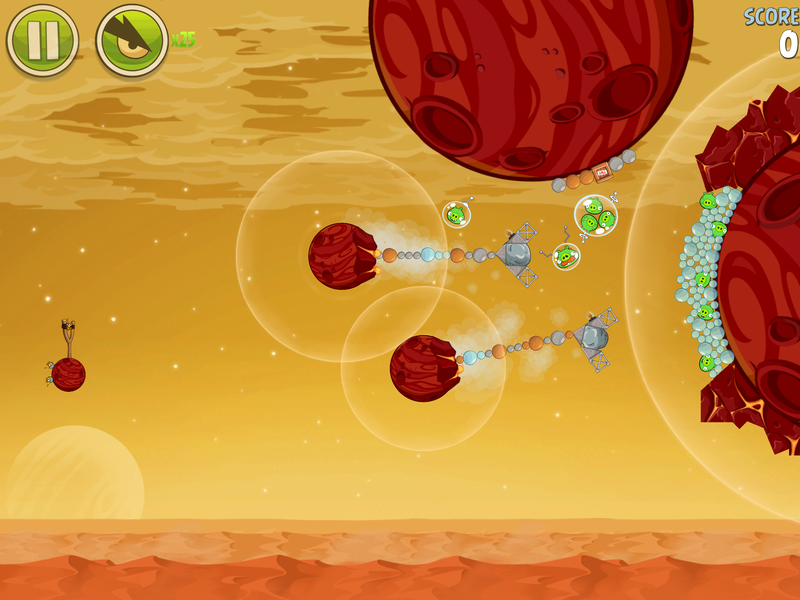 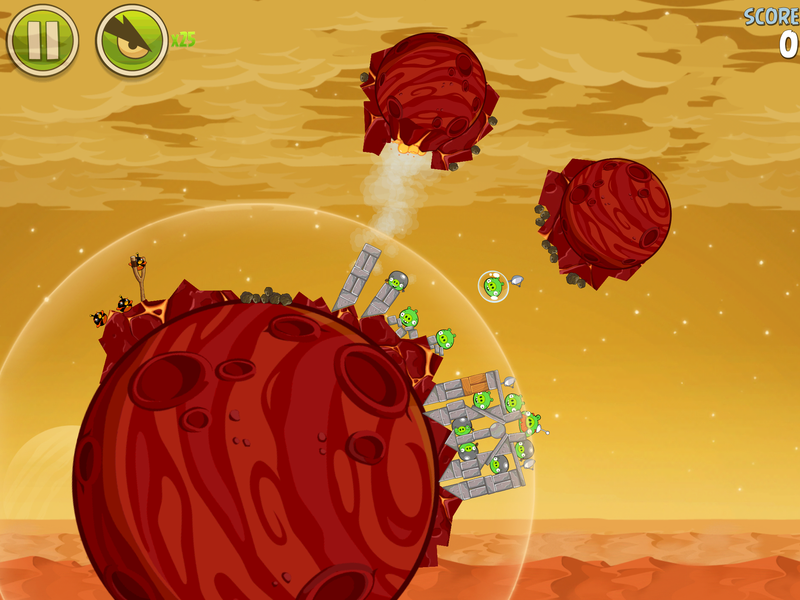 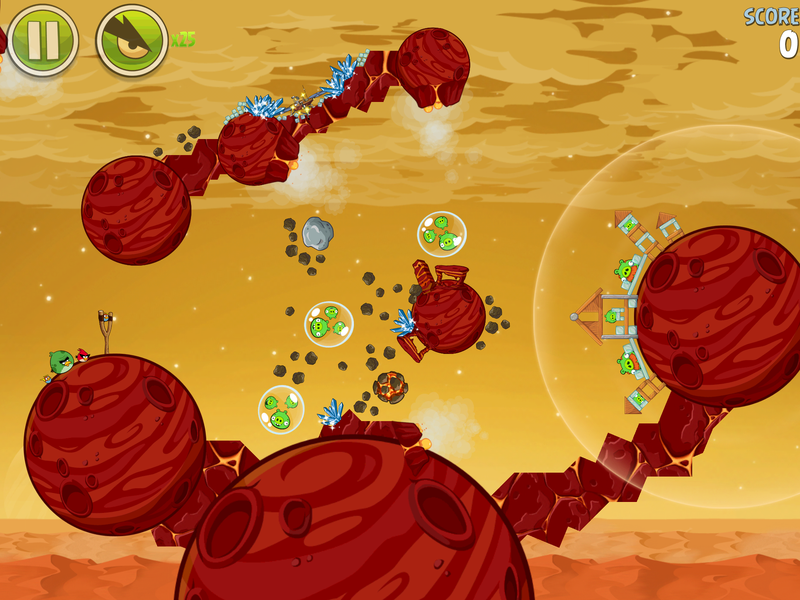 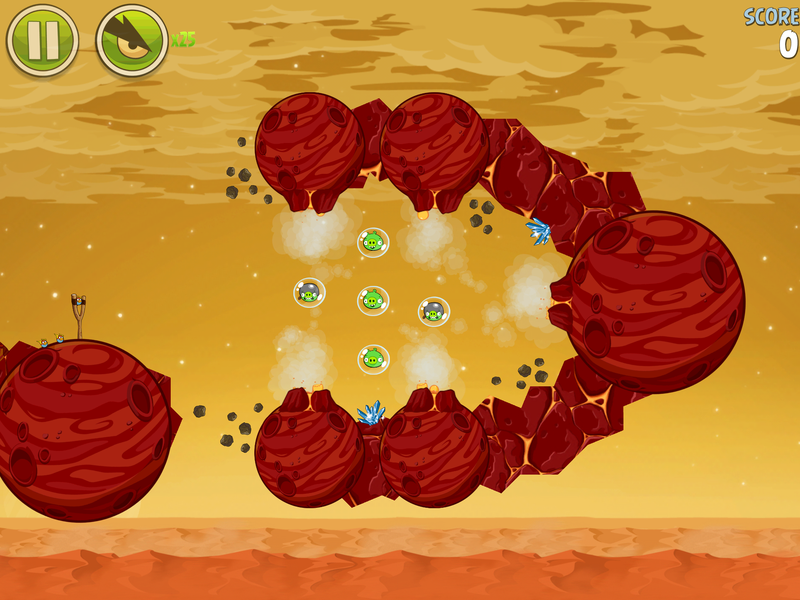 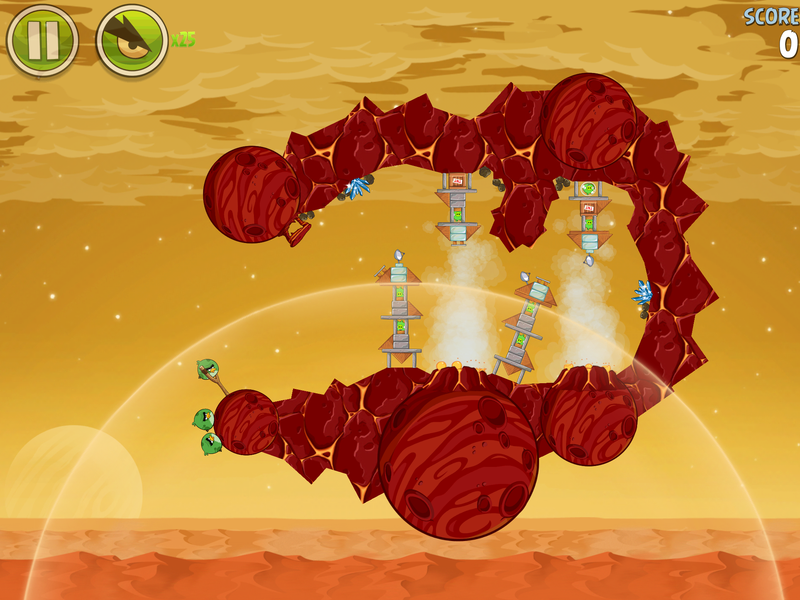 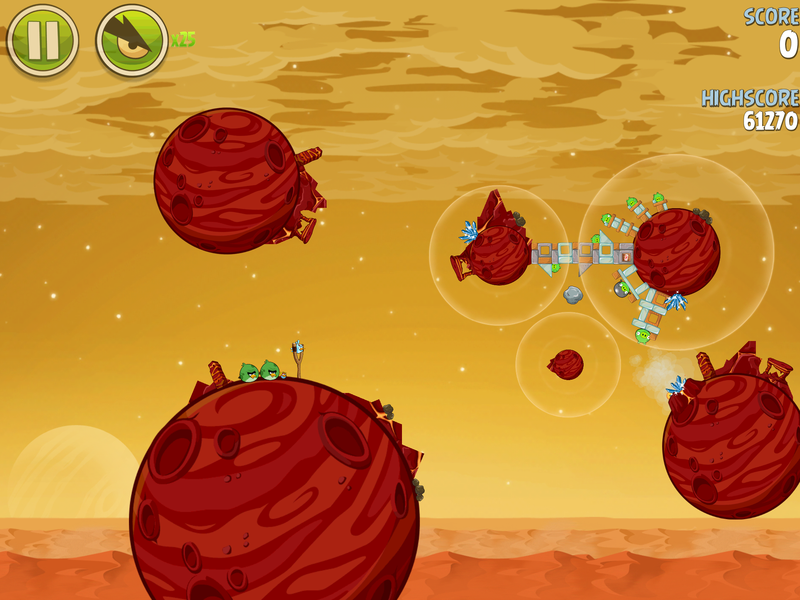 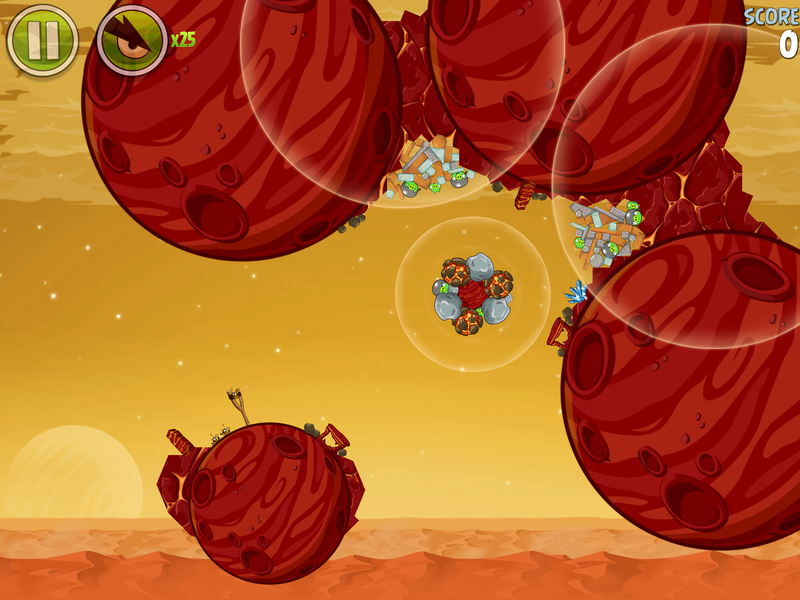 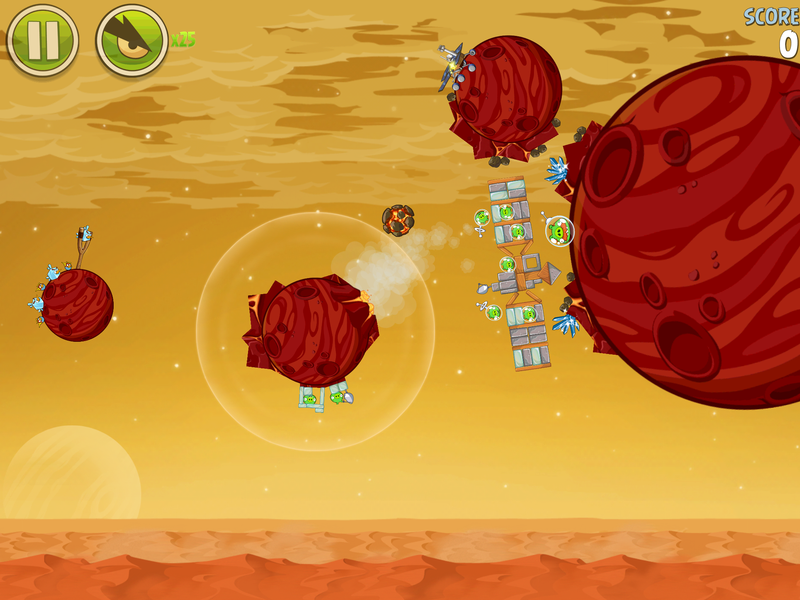 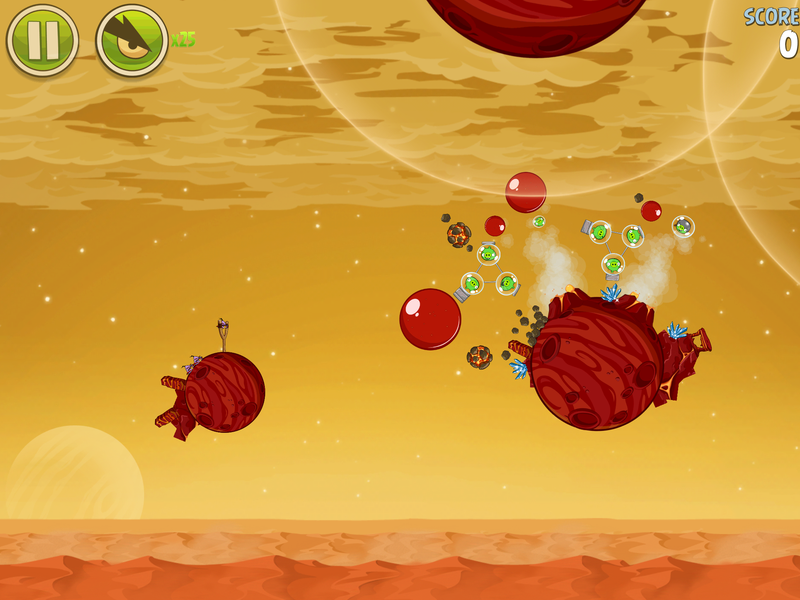 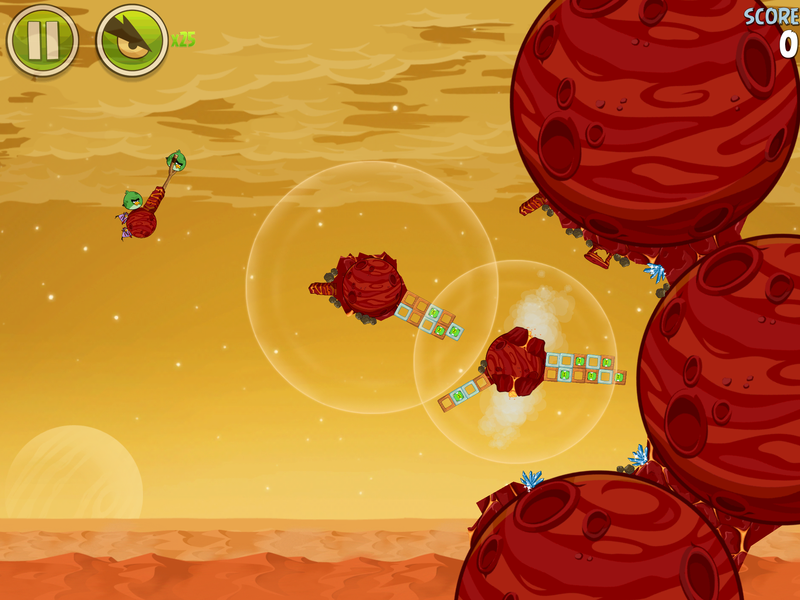 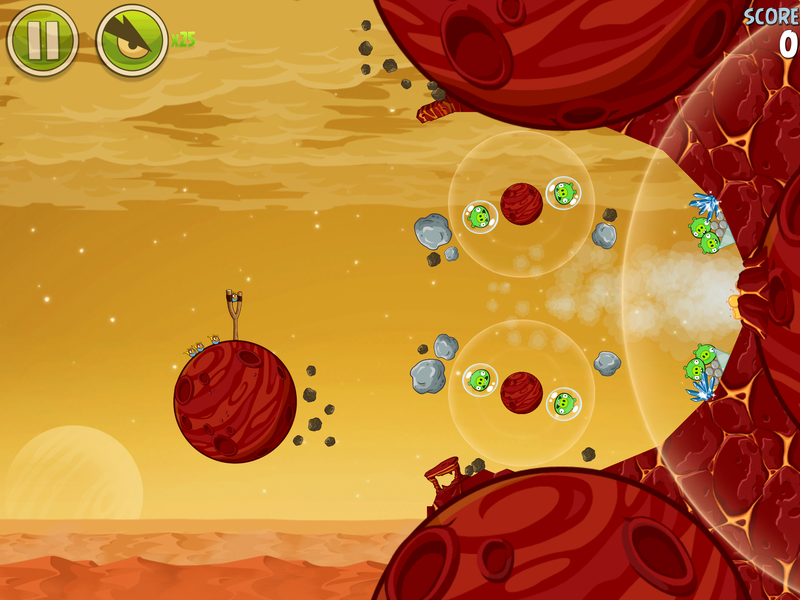 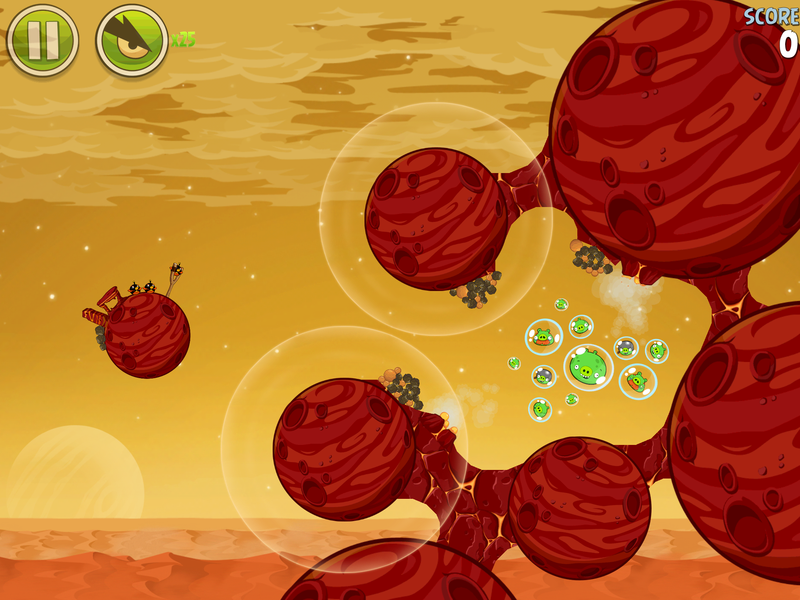 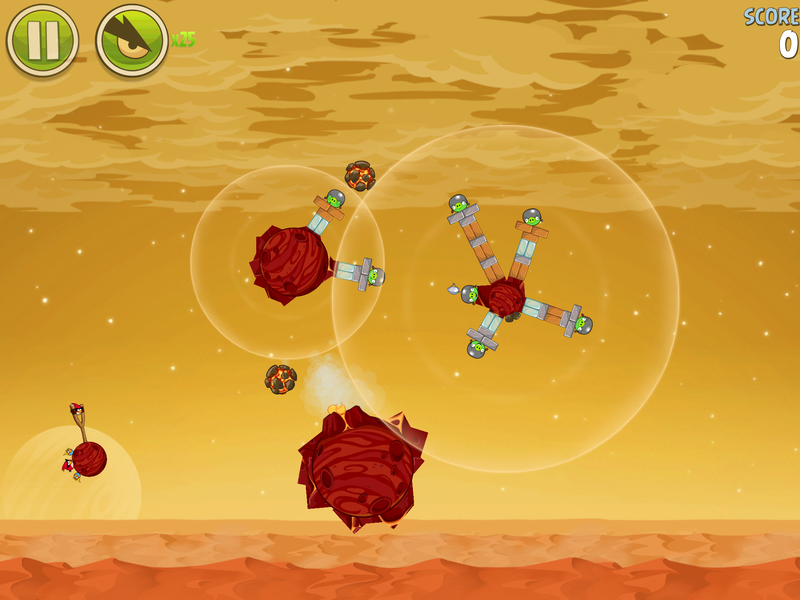 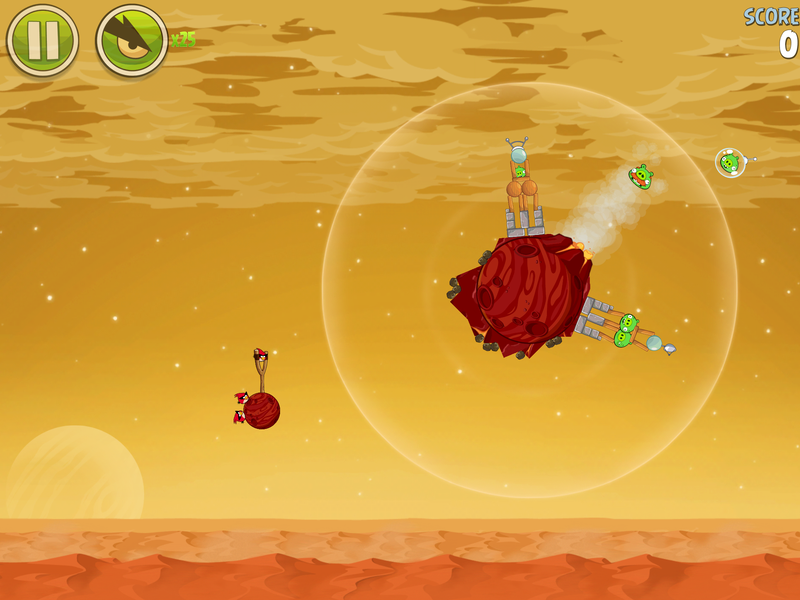 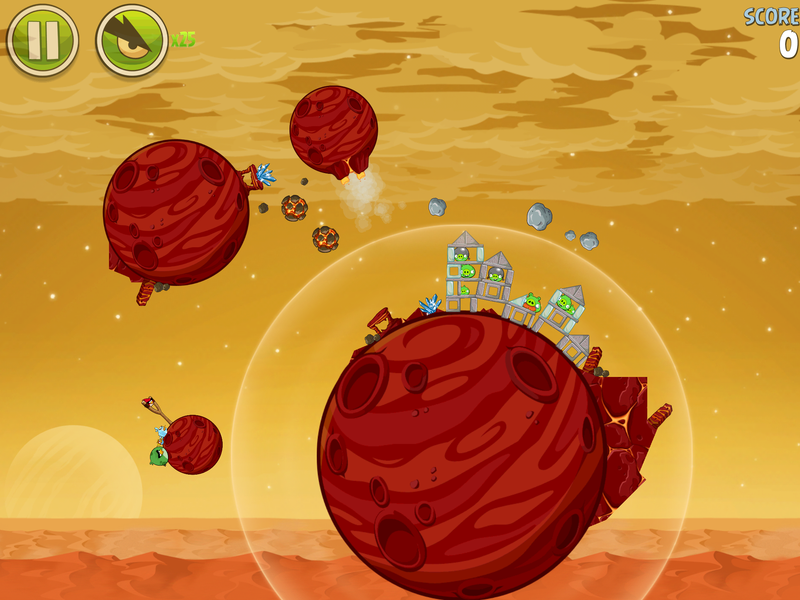 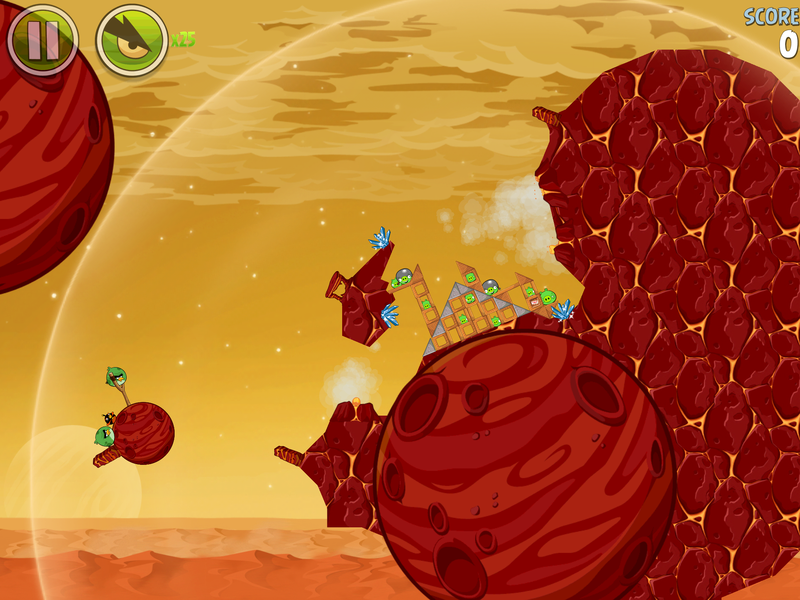 In the final level, pigs ride the Mars Rover around a planet as you try to defeat them. 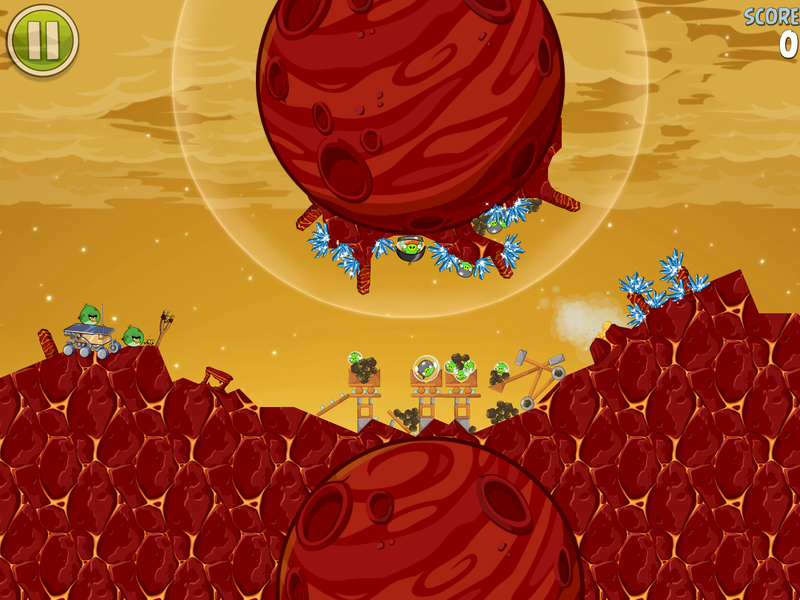 Overall, a great update to an already great game. 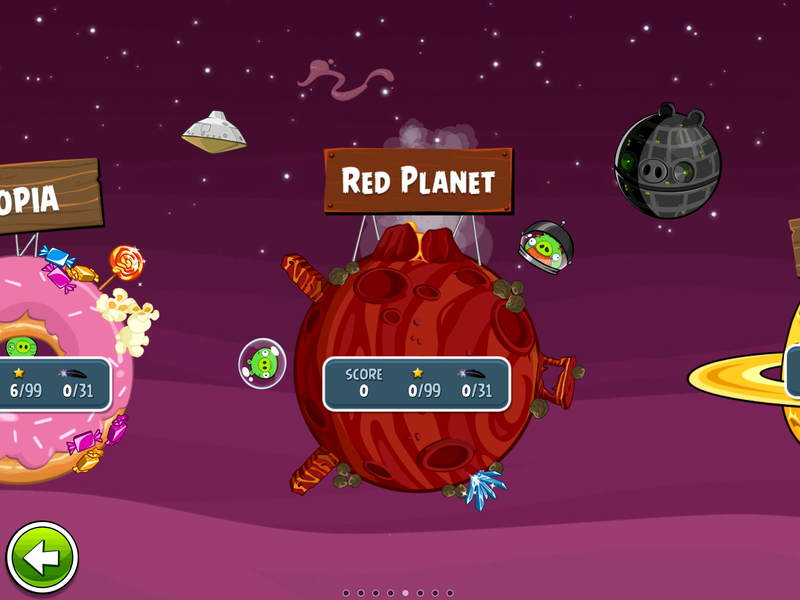 This update is for both the iPhone & iPad version.